VOLCANO® Line Beam systems can be designed with different line lengths up to 750mm. 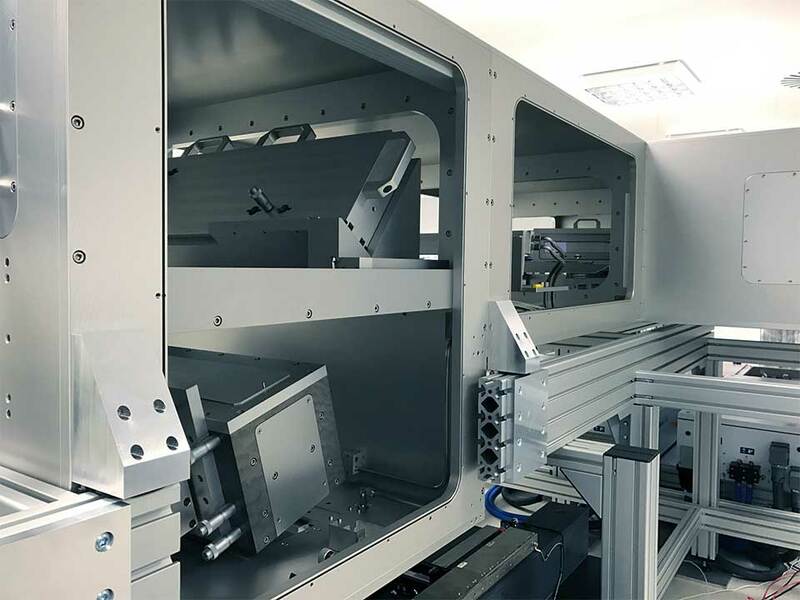 The use of solid state lasers emitting UV light at 343nm reduces the operating costs and increases the uptime of production tools remarkably, compared to ELA systems using excimer lasers. The LB systems are based on a rigid aluminum housing structure and the FALCON XXL projection lens gives a working distance of >200mm. A stable and solid system structure is needed to support the line beam optics. 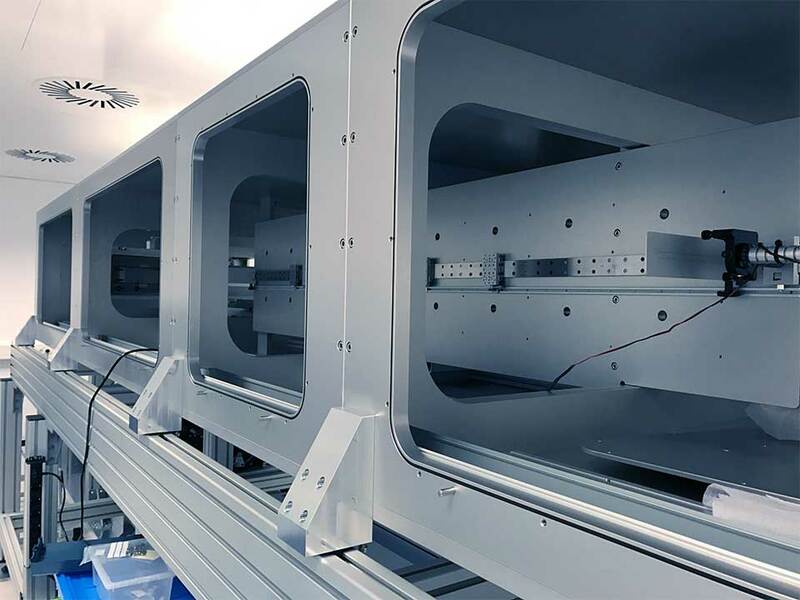 Line Beam Optics includes a MBC (Manual Beam Control) camera system which allows to control and adjust position and angle of all laser emitted beams. The FALCON XXL design contains a window which seals the optics from the process chamber and protects against contaminations from the process. The energy density of 500mJ/cm² is obtained by using 6 TruMicro 7370 (20mJ specification) with 750mm x 20µm FWHM line beam. VOLCANO® Laser Optics provides a gaussian laser line applied for annealing and crystallization of thin semiconductor film, e.g. amorphous silicon films. Thin 50 nm a-Si films play an important role for the manufacture of thin film transistors (TFT) in LCD and OLED flat panel displays. UV crystallization converts the silicon to poly-Si which allows short response time TFTs for high performance flat panel displays. These films are well suited for the TFT matrix of OLED displays. VOLCANO® Laser Optics has high availability (>90 %), is reliable and has low cost of ownership. VOLCANO® Laser Optics includes an integrated attenuator module to adjust the energy density at the substrate level. Power meter heads, a CCD camera based beam profile measurement are available.